The Thursley Group of commons. -Your public consultation is no more than a public relations exercise and asks questions of the public which they are not in any position to give a reasoned or scientifically based response sufficient for you to make any reasoned proposals. This is what you do for each common where you want to introduce extensive grazing and is on a divide and rule basis. - You have to date refused to use burning as a restoration or management tool on lowland heath in the south. - Your immovable assertion that low intensity extensive grazing is the only accepted core management technique is unfounded and unproved. - You refuse to consider focused grazing as an option and as allowed within the Commons Act 2006. - Your preferred system of enclosure is highly dubious given the results of such long term project as Greenham Common where full commoners grazing has seen a fall in heathland grazing area coupled with the need to recover scrubbed up areas of gorse and trees. 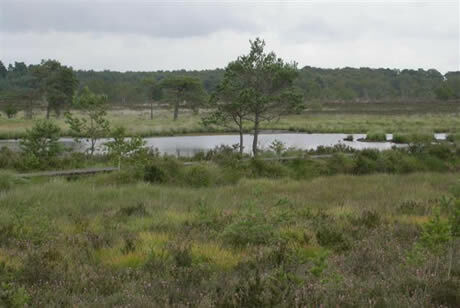 This effect has also been seen at the long term examples of Owlsmoor, Pirbright, Barossa, Blindley Heath, and is already being seen in the short term on some of the MoD heathland such as Ash Ranges where you are paying HLS on some 3,000 acres of military training land. - You do not consider any cost benefit analysis or recreational impact assessment as being part of your considerations neither do you have accurate base line environmental surveys to base any reviews on which you seem to rely on to support the introduction of fencing. - You have not done any retrospective impact assessments on those heathlands on which you have introduced extensive grazing but have not had any burning or otherwise over the last ten years of your funding Public Service Agreement with the Treasury. To the layman the best heathlands in the South East are those where burning has happened but you refuse to acknowledge this even though most people involved that I have talked to freely admit that extensive and even in places intensive grazing does not work and is a waste of money in terms of fencing and management time and effort. - Your letter seems to indicate as has been the case on most of the other lowland commons in the south east that no matter what the consultation you will persevere with fencing. This has happened on Chobham where despite three consultations you and the site managers have stated that burning is not an option and once people have got used to the fencing that is to be set up as a supposed trial but which will not have any control areas operated under a different management system with the same investment then you will fence the whole. Do you agree with Bob?